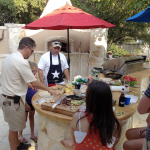 Texas Oven Co. Best Whole Wheat Pizza Dough - Texas Oven Co. 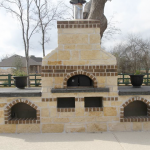 Most people with wood-fired ovens love to make pizza, and are always looking for the perfect pizza dough recipe. 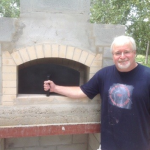 I began making pizza more than 20 years ago following a fine recipe in 365 Easy Italian Recipes. 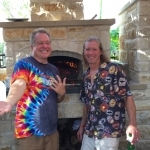 When I became interested in making great pizza, I tried a number of dough recipes and techniques. 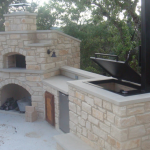 Our wood-fired oven changed everything. 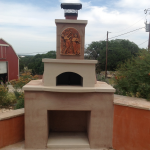 With temperatures over 800 degrees and radiant heat from the firebrick, the wood-fired oven does the heavy lifting. 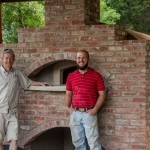 It creates a pizza-friendly environment so the baker focuses on making fantastic dough from great ingredients. To find the perfect dough, we tried long ferments, super-hydration, imported flour and ancient grains. 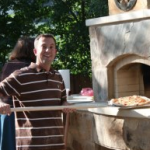 When people ask for a good pizza dough recipe, I usually send them to Peter Reinhart’s Neo Neapolitan dough from American Pie: My Search for the Perfect Pizza. It is forgiving and easy to throw together with ingredients most people keep on hand. But after committing to home ground whole grains, I reopened my search for the ideal dough. These days I grind my own flour and blend wheat varieties as suggested in Chad Robertson’s Tartine Book No 3. I make Peter Reinhart’s 100% Whole Wheat Pizza Dough (p. 267, Peter Reinhart’s Whole Grain Breads or p. 73 Artisan Bread Everyday) with mixed grains. I’ve made this recipe from commercially ground whole-wheat flour and it’s delicious. 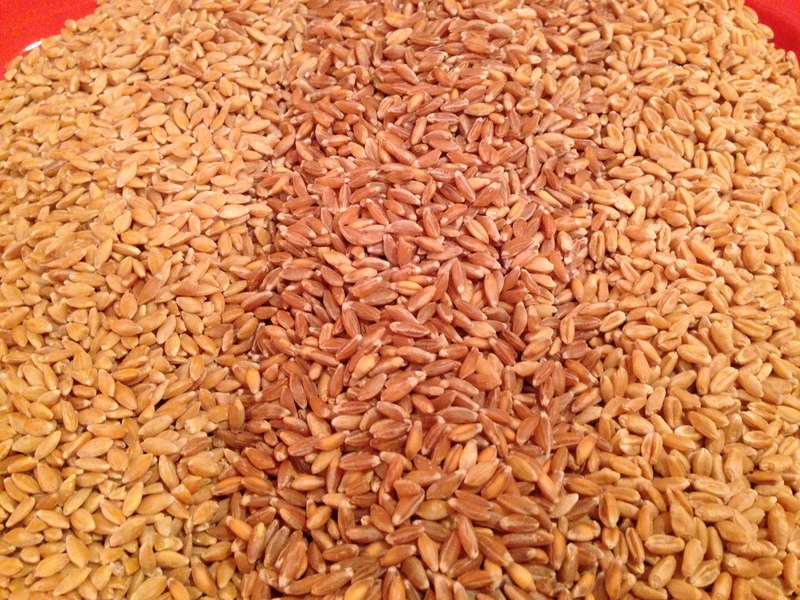 However, using Chad Robertson’s technique of combining various types of wheat to enhance flavor and structure is amazing. Currently our favorite pizza dough is made from soft winter white, einkorn and emmer (farro) flours. This combination creates dough with a buttery taste and great structure. 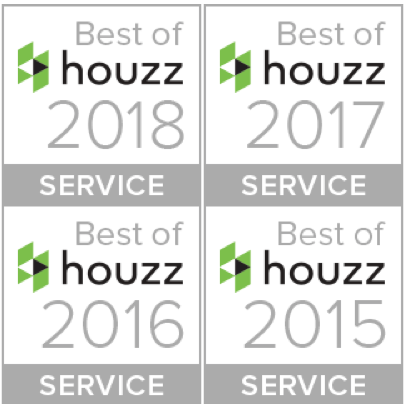 Key test for taste? My kids love it, and their friends don’t know they’re eating whole-wheat.